Both Jack Nicklaus Signature Golf Courses to finish construction in the United States in 2014 have been named to Golf Digest’s prestigious “Best New Courses” list, and both rank within the list’s top-10. Trump National Golf Links at Ferry Point was named No. 5, while Potomac Shores Golf Club came in at No. 8. Both courses are located in the Northeast, with Ferry Point located adjacent to the Whitestone Bridge in the Bronx and Potomac Shores located in northern Virginia. Their Northeast location isn’t the only thing these two gems have in common. Both courses are public and aimed at improving access to golf in order to grow the game. 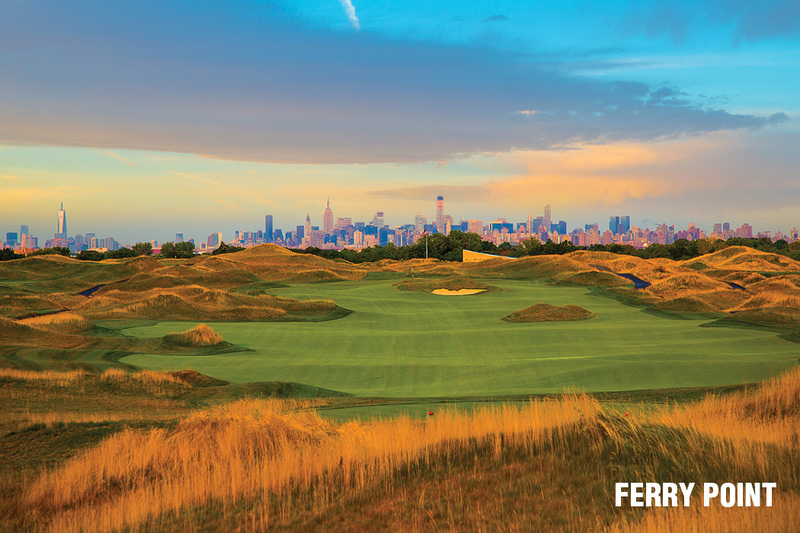 To date, Ferry Point has offered only select preview rounds. Donald Trump, who signed a long-term contract to operate the course for New York City, will officially open for play in spring 2015 once a clubhouse is completed. But the sneak peeks have drawn rave reviews. A quiet green space amidst the concrete jungle, Ferry Point offers stunning views of New York City’s iconic skyline. The course measures 7,362 yards and plays to a par 71. The Potomac Shores project sat idle for about six years until the SunCal development team came in and brought the course to the finish line. The Potomac Shores Golf Club course features a hardwood forest outline, dramatic vistas, rolling greens, and holes that play along the Potomac River and Powell’s Creek. The layout boasts multiple tee options, ranging from 5,276 to 7,082 yards. Potomac Shores is highlighted by dramatic elevation changes, wide playing corridors and intriguing green complexes that maneuver through majestic trees along the banks of the Potomac River. No fewer than 51 golf courses by Nicklaus Design have been given “Best New” nods by Golf Digest, one of the leading authorities on golf course rankings. The list of courses to come in the top spot of the magazine’s “Best New” lists over the years includes Nicklaus North Golf Club, Kauai Lagoons (Kiele), Colleton River, Loxahatchee Country Club, Sebonack Golf Club, and Grand Cypress.